Rochester’s first choice for the best car stereos and more! Over the years we have developed a reputation much envied by others for outstanding service in car audio. Our knowledgeable and friendly staff can help you choose the best products, provide insight to replacements and upgrades we well as get you scheduled for service and installation quickly. We also pride ourselves on the quality of the equipment we supply; after all, we are authorized dealers for some of the worlds most prestigious manufacturers. When it comes to car audio and upgrades, we know what we are talking about! 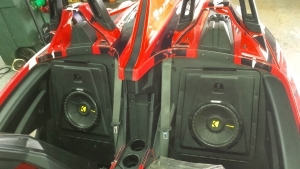 Stereos, Power Amps, Subwoofers, Tweeters, Speakers, Crossovers, Wiring, Installation and Customs. GPS Navigational Systems, Satellite Radio Sales and Installation. Mobile Video Sales, Back Up Cameras, Upgrades and Installation. Car Stereos are our Specialty! Your car stereo is the centerpiece of your car audio system. We want to make sure you have the model and the features that suit you and your vehicle best. Today’s stereos performs a variety of complex functions and are full of useful features and each of these can be customized to your liking. A newer stereo will give you a better sound and more playback options than a factory or out of date model. With new speakers you can achieve not only louder but a cleaner, more detailed sound. We can also upgrade the look of your stereo with touch screens, more precise controls, and more! Since 1971 Auto Sound Systems has been selling and installing car audio, our expertise is what has kept us in business, when all of the other dealers around are going out of business. When you need a car stereo there is no other place that can offer the sales, service and installation experience like we do here in Rochester! 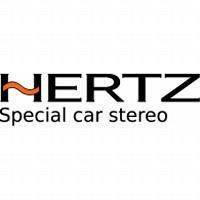 We offer car stereos to fit all vehicles, let one of our staff help you with the best selection for your vehicle. We offer a variety of stereo product & services. Want custom car audio that will make your friends jealous? Look no further. Contact us today to customize your vehicle to fit your lifestyle! You don’t need bells & whistles to bring your drive alive. The Onyx EZ makes satellite radio simple to install, use and enjoy so you can focus on the best part –listening. Connect, control and enjoy all the wonders of satellite radio on the sly. The compact SXV300 tuner is truly plug-and-play with compatible car stereos and installs easily and discreetly behind the dash for a fully integrated look. * Access to Xtra channels depends on subscription package. Subscription sold separately. ** Consult car stereo receiver manufacturer for detailed description of features and operations and capabilities.